← Strike a pose – Quads in vogue! 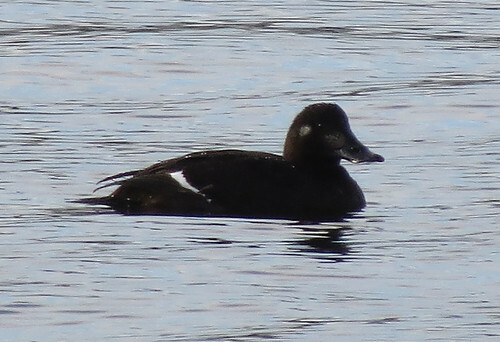 With pleasant weather for the time of year, and nothing much happening, it came as something of a surprise to hear of a female Velvet Scoter Melanitta fusca appearing at Tophill Low NR, East Yorkshire earlier in the week. 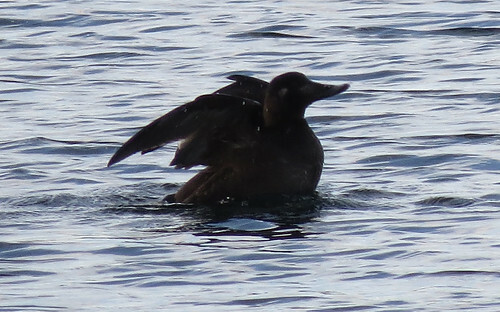 The scoter has shown well for the last few days on O reservoir… a fantastic opportunity to see a bird, more often seen on a seawatch, up close. Merry Christmas to everyone who reads the blog and I wish you all the best for 2015… it should be fun. Who knows what will happen, what we’ll learn and what will be seen.